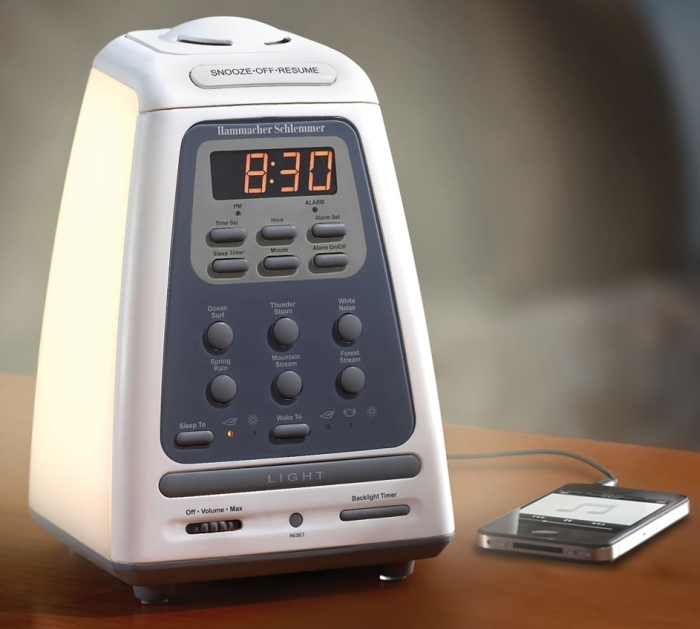 Fifteen minutes before wake-up, the clock generates your choice of six nature sounds (including ocean surf, thunderstorm, white noise, spring rain, mountain stream, and forest stream). The cycle concludes with a chime (that gradually increases in volume) to wake the most stubborn sleepers. Includes four different aromatherapy beads (Ocean Water, Pear Vanilla, Lavender Essence and Clean Cotton, or you can use your own aromatherapy oils in the stainless steel bowl.